Professional clothing company, B&C, have introduced their latest range of clothing for on-the-go professionals. The B&C PRO collection offers you a complete range of professional workwear styles which are all designed to work harder for you. The collection is designed to be more than a uniform as the professional look and feel acts as a calling card which is designed to portray a professional image for your business. The design of the clothing range follows four principals – functionality, comfort, durability and ease of care. The principals provide you with professional attire that lasts. The designs feature the latest technology which ensures that they remain comfortable and always provide a high-value look – even after use. The material also produces good shape retention and offers low shrinkage to ensure that they last longer. The collection includes trousers, T Shirts, polo shirts, sweatshirts and bodywarmers and there are 9 B&C Pure Pro collection styles on offer. Each style ensures optimal performance and protection. They all have economical designs which allows freedom of movement to provide you with maximum all day comfort which is ideal for long working days on the job. The durable material and easy to care for fabrics also provide you with long-lasting wear which doesn’t look worn or tatty after usage. Finally there are meticulous finishes for style which ensures that you always look professional whilst you’re working. To complete the PRO offer, there are an additional 30 B&C Essential PRO styles which provides you with superb value for money. The Essential PRO range includes T Shirts, polos, sweatshirts, fleeces, bodywarmers and jackets which are designed for a range of different jobs to keep you and your team working in a range of different environments. 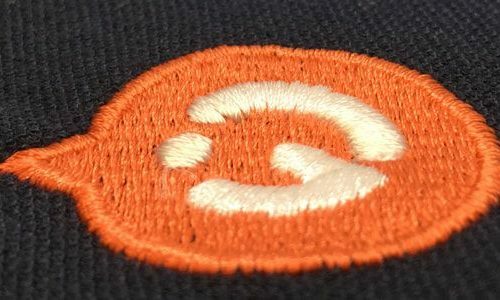 To keep the professional image, the clothing range is ideal for printing and embroidering so you can have your company name and logo emblazoned on the uniforms. This helps to create brand awareness but also highlights the professional look of your company. But putting your brands logo and name on the B&C PRO collection, you’re letting everyone know that not only do you provide your employee’s with the latest in workwear technology but your employee’s will look stylish and sophisticated at all times. Garment Printing now stock the B&C Pro range so take a look at our workwear catalogue so you can kit you and your team out in the very best custom workwear.